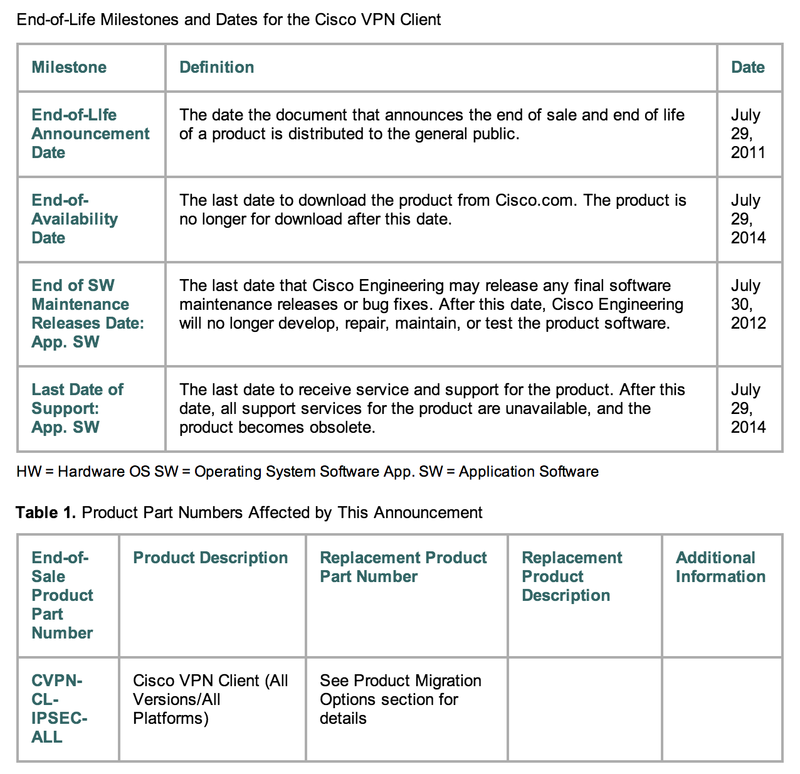 End of availability for the Cisco IPSEC VPN Client this summer. Time to migrate! For those that have been hanging on to the old Cisco IPSEC client, its time to really consider a migration. The client will no longer be downloadable as of July 29th of this 2014 year. This also means it will no longer be supported. The official notice can be found HERE. The suggested replacement is Cisco Anyconnect. The good news is basic Anyconnect is a one time cost for any ASA appliance to unlock it (IE its not a headcount cost) and pretty inexpensive. 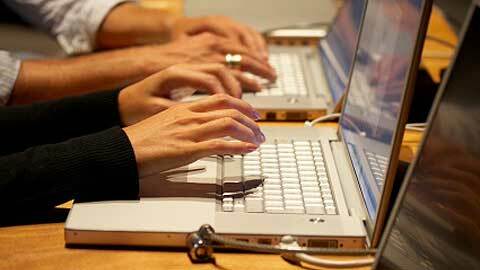 There are also benefits that range from auto-reconnect (IE you unplug your laptop, connect to a wireless network and Anyconnect auto reestablishes the VPN without user interaction) to advanced options such as checking for keyloggers, Anti-Virus / Windows updates and event cloud security Intergration via Scansafe. Here is a quick tutorial on how to enable Anyconnect HERE. Here is the administrator guide for the Anyconnect client HERE. Here is the ASDM administrator guide for VPN HERE. Hopefully this isn’t the first time you are seeing this and your manage remote access using Cisco IPSEC VPN clients. If it is (which I’m still finding people out there), you should start making plans to migrate now.